First of all, thank you mother for purchasing this me ages ago! I got a little over excited mainly because of the packaging. Who doesn’t? Finally reviewing this and the first thing I had noticed is the shade. 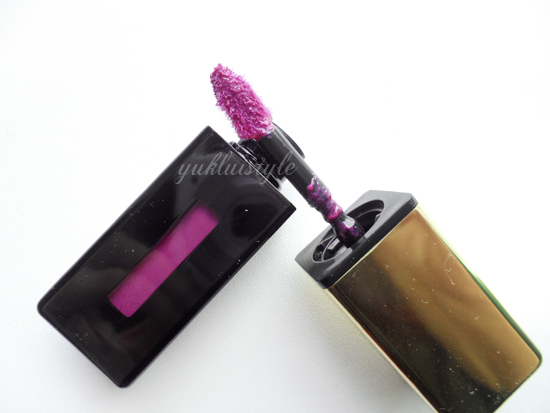 Looking at it, it is a purple, violet shade with a magenta, fuchsia undertone. It isn’t too bright nor dark, this is definitely a summer shade! One swipe on the lips and it gives the lips a lovely, very noticeable saturation of colour, not even a sheer pigmentation, leaving a great shine adding dimension to the lips. The shine will fade over time as you would expect with lipglosses. This is definitely buildable to increase opaqueness bt I find one swipe is enough. It is brighter on the lips than on my hands and in the packaging. Blotting will leave the lips a stain of colour. I thought the consistency was unique, quite watery, something I haven’t experienced before. It felt weird since this was a first time experience but the liquid feeling disappears and doesn’t become sticky as you’d get with many lipglosses unless you blot then it is sticky. Feels like gel after the water gimmick fades. I can definitely feel that this is a high quality product as compared to drugstore products. It doesn’t settle into the lines, bleed, emphasise any dry patches or even drying! It seemed to have held up well whilst I ate and drank. A top is needed once during the day and possibly again during the night if I’m out with colleagues straight after work. The wand is very easy to use and the shape is perfect allowing me to easily define my lip shape. The scent slightly gives me a headache sometimes. A floral scent which is very artificial. Not really my cup of tea but it doesn’t stop me using it. Tastes weird too (not directly of course). I love this shade and definitely need to try out more of their other shades. I do hope their other shades are worth £25 each. 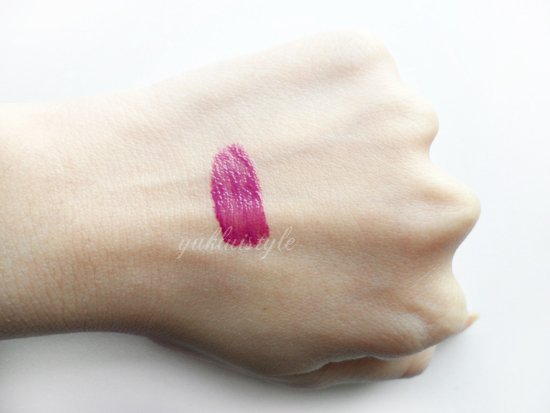 Have you tried any of YSL’s Glossy Stains? It looked a bit scary at first but it looks really nice and wearable on you. Btw, you look adorable with that floral crown! I thought maybe it came out too much as looked like one that would leak in the bag but since no mention of that I assume not which is good for me as I am on the hunt. I do love the colour and pigmentation though as that's what I usually look for. I thought the colour would be so much louder, but it looks very subtle and pretty on you. brighter than I thought it would be! Love glosses and very tempting for me to switch in the summer but I just can't let go to my love of a good matt lipstick! Gorgeous! The swatch scars me but then it looks so nice on you. And I love the flower crown!! The packaging looks really nice! Love lip stains, shall get this soon. 🙂 This colour looks great on you. What a stunning colour, it looks so lovely on you. It doesn't look like it's too watery! I've wanted to try this, and this exact shade, for the longest time! I'd totally wear it everyday if I had it. It looks really lovely on you too! You look lovely. The purple shade is very cool so suits your skin tone. 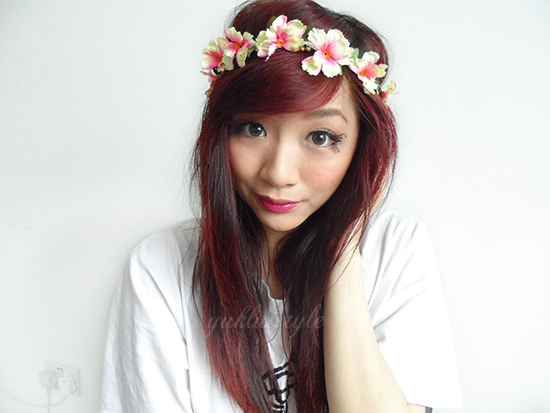 Love your floral crown! You should try their new YSL Baby Doll series. It is even better than the glossy stain. mmmm i just bought this but have not try them yet…love to try them one day..heheheh!! finally i can load your pictures! so glad to see your pretty pic now. 🙂 never tried ysl products and dont think i'll ever will. they're too pricey for me. but i do like that colour of the lipstain and they're really pigmented! 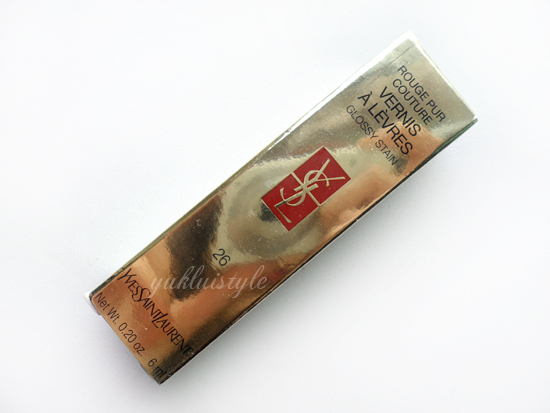 Nah, I have to try any YSL products.. but do you know that the L'oreal lip gloss has more or less the same design as this.. 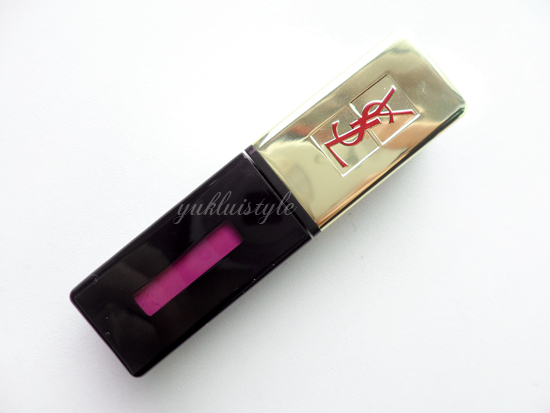 I've yet to try YSL, but this color is gorgeous and an absolute must have! this one brand is good but expensive..
love the intense color on your final looks!